Open Up An Adventure Where Books Live On! Contact us to learn more about our selection of new and used books for kids and teens. 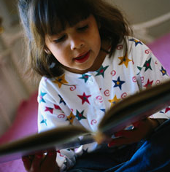 Introduce your young children to the world of reading with picture books. Once they have started to learn to read, our books for early readers are just right. For children ages 9 to 12, we have various series of books to pique their interest. Contact us to learn more. Children need to be inculcated from a young age with a love of reading. The best way to encourage a lifelong habit of reading is to expose them to bookstores. We run our bookshop because of our love for literature and the enjoyment of reading. Call us at (508)796-5613 in Worcester, Massachusetts.